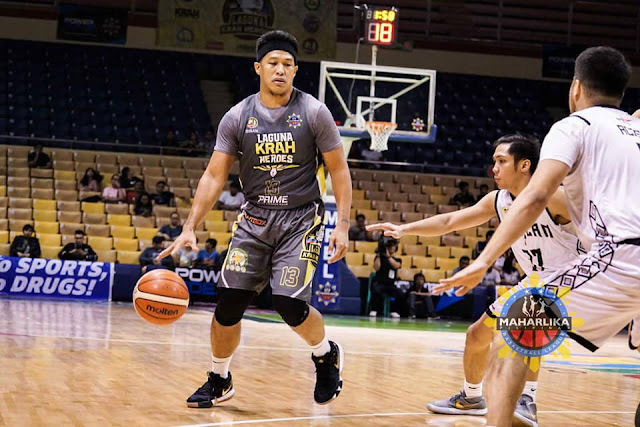 SAN JUAN, MM—Some of the best players from the glory days of the Alaska Aces, Barangay Ginebra, San Miguel Beermen, and Magnolia Hotshots in the 90’s will reunite on Feb. 17 in a special doubleheader for charity. But in an interesting twist, San Miguel’s team will have a “millennial”. Thirty-six-year-old Denok Miranda will suit up for the Beermen in the said event, named “Return of the Rivals”. And even he, one year younger than current SMB star Arwind Santos, could not believe that he will be part of a lineup led by Allan Caidic and Olsen Racela among others. “Ewan ko nga e. Di ko alam,” Miranda simply said when asked how he ended up in the game. He was present on Thursday night during the players’ orientation at the FilOil Flying V Centre. Miranda, however, admitted, that both Caidic and Racela invited him to join the team. “Kailangan daw nila yung pinakabata,” Miranda, a member of the 2011 Beermen team that won the Governors’ Cup title as the Petron Blaze Boosters, explained the invite. Caidic, the treasurer of the PBA Legends Foundation, the organizer of the event, was also in attendance. What makes Miranda’s case even more interesting is that he is one of only two players in the legends showdown who are still active in club basketball play, particularly the Maharlika Pilipinas Basketball League. Add to that, Miranda’s Biñan Heroes are currently in a wild playoff chase. They are currently in eighth place in the Southern Division at 10-13. They are set to play a crucial showdown with the Caloocan Supremos on Monday night here. But Miranda is setting aside the race to the Final 16 for now in favor of cherishing a rare moment of playing alongside PBA legends. “Enjoyment naman na makasama naman sila. Yun naman ang pinaka-importante: ang makasama dito sa group na ito, kasi mga legend e. Mapasama lang sa group na ‘to, ayos na ako dun,” he further said.